Get your car warmed up in the winter and cooled down in the summer with a remote car starter! Start your car with the press of a button from inside your home or office. 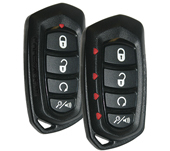 We can install a remote start on almost any vehicle that has an automatic transmission - gas OR diesel. Working with local dealers has given us a great amount of experience on the latest vehicles out there. Have a newer push start Toyota? We can do it. Have a newer Chrysler / Dodge / Jeep with the Fobik key? We can do it. Ford Diesels with the picky tach signal? No problem. Regardless of what your driving chances are we have worked on them and can recommend the best system for your needs. 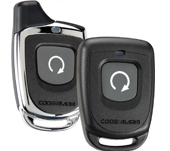 Remote start your vehicle using your OEM keyless entry remotes. 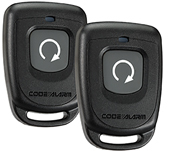 Selectable 20, 15, 10, or 5 minute remote start run time. Parking light flash for remote starter confirmation. Can be used with gasoline or diesel engines, automatic transmission only. A great option if you don't want to carry another remote and like the OEM remote. 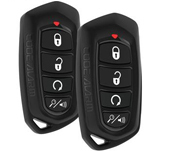 The downside is you are limited to the range of your factory keyless entry. Long range up to 1500 feet! 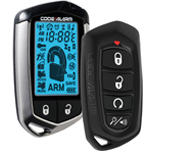 Great for Ford, Lincoln, Merc with the keyless built into the key! Long range up to 1500 ft! Long range up to 2500 ft!